Classic Chris Silva sequence shot by Colin Field for client 1664 in the past. Those that pay attention to the minutia of Canadian BMX over the years will be familiar with the work of Colin Field. He’s shot for numerous cycling publications over the years such Pedal, Dandyhorse, Ride UK, Transworld Ride BMX, Chase as well as plenty of other skate, ski, kayak and general outdoorsy magazines and clients (as well as being one of the very few bike riders that got to ride the SBC Media miniramp). 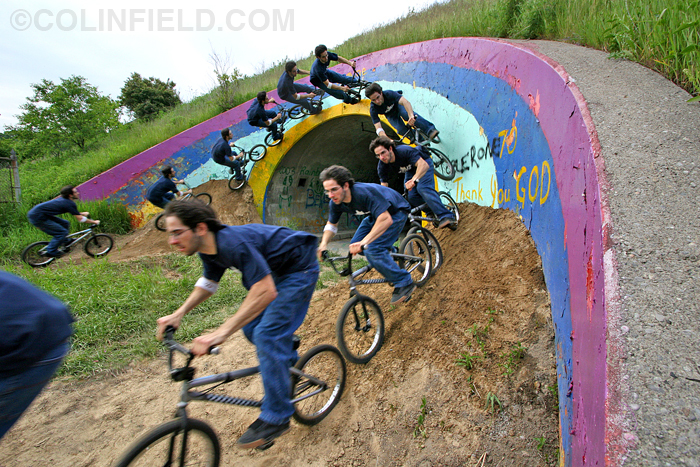 He just recently unearthed and blogged about a small handful of BMX photos from the mid 2000’s that were shot in and around Southern Ontario. Click here to check them out, and take a poke around the rest of his site COLINEFIELD.COM while you are at it.